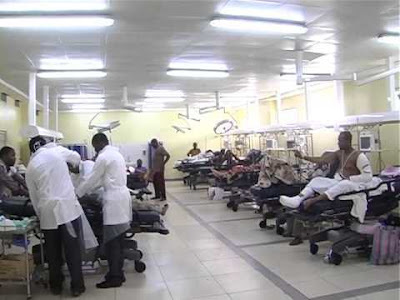 The Joint Health Sector Unions and Assembly of Healthcare Professionals, JOHESU, has suspended its nine-day-old strike. The union made the decision following a nine-hour meeting with the federal government in Abuja today. The national chairman of the union, Biobelemoye Josiah, said the strike had been suspended “in principle”, as a NEC meeting of the union will be held on Tuesday to take the final decision. He said that the union has reached an agreement with the Federal government and workers are to resume back to work on Wednesday. The union embarked on a nationwide strike on September 20 to protest among other issues, salaries adjustments, promotion arrears, and improved work environment for its members.